Even though we’ve known for decades that the liberals are typically hostile to anything having to do with the Christian faith, most of us never thought we’d see the day when the legality of the Bible itself was put in jeopardy. Yet in the socialist state of California, that’s exactly what appears to be happening. It would appear that this definition would include the Bible, since the Bible explicitly condemns homosexual behavior and defines marriage as being between one man and one woman. That means that if Assembly Bill 2943 is officially signed into law, it could ban the sale of the Bible in the state of California, which, for obvious reasons, would be an assault on not just the Constitution but on the very fabric of America. First and foremost, the First Amendment guarantees that each citizen is endowed with the inalienable right to freely practice their religion without interference from the government. This includes not only the reading of the Bible, but also the private sale of the Bible from individuals or companies looking to spread the Christian faith. Banning the Bible, which Assembly Bill 2943 would likely do, is a clear violation of the freedom of religion as outlined in the Constitution. Second, as a matter of free-market economics, since when does the government have the authority to control which products are sold by businesses and which are not? 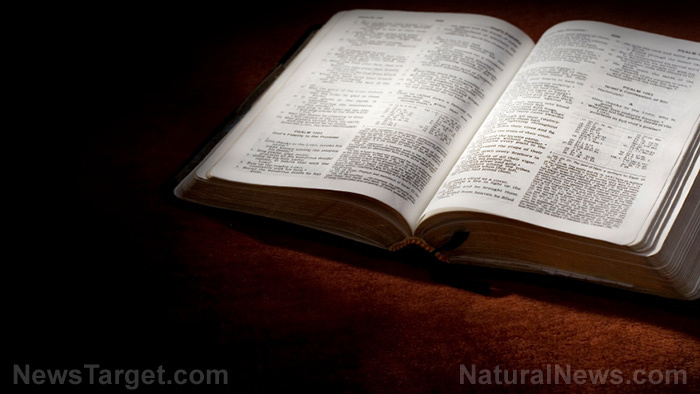 If California can legally declare that the sale of the Bible is prohibited, does this mean that they can ban any book that doesn’t subscribe to the progressive ideology? Can they ban the sale of the “Don’t Tread on Me” flag? Can they ban the sale of “Make America Great Again” hats? Can they ban the sale of pro-Trump and pro-conservative bumper stickers? Where does this end? Clearly, Assembly Bill 2943 would open up a can of worms, so to speak, and would ultimately lead to the state government having unprecedented authority over which products businesses can and can’t sell to the people of California, regardless of how harmless those products might be. Back in 2015, for instance, contractors in the state of Oklahoma began taking down a 2,400-pound monument depicting the Ten Commandments from the grounds of the state’s Capitol building. The decision to remove the monument came after the Oklahoma Supreme Court ruled earlier that summer that its presence violated the state’s constitution. And that’s just one example out of dozens – in state after state, this war on Christianity continues, whether it’s in the form of dissuading people from saying the phrase “Merry Christmas,” removing religious monuments like crosses and the Ten Commandments from public grounds, or, in the case of California, proposing legislation that would ban the sale of the Bible. The longer this war is allowed to go on, the further America seems to get from its founding principles. See Antichrist.news for more coverage of the Left’s attacks on Christianity.